Like most of Bedford Park, the architecture of the church of St Michael and All Angels is mainly in the Queen Anne revival style. The church was designed by Richard Norman Shaw in 1879-80 and it was one of the few attempts to adapt this style to an ecclesiastical building. 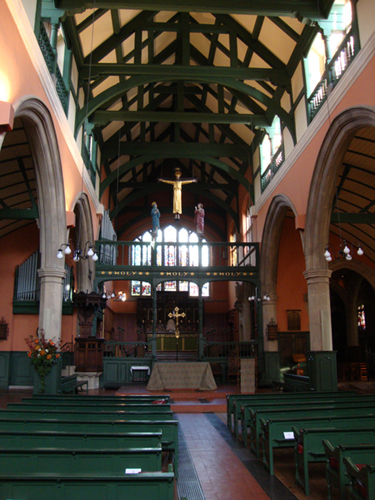 The architect G E Street described it as “very novel and not very ecclesiastical”. I was asked to advise on colour and my company Papers and Paints supplied specially-mixed paint for the recent refurbishment.